ALIDADI, K., FOBLETS, M.-C. (eds. ), A test of faith? Religious diversity and accommodation in the European workplace, Farnham, Ashgate, 2012. Anders Jarlert (ed.) Piety and Modernity. The Dynamics of Religious Reform in Church, State and Society in Northern Europe, 1780-1920. Leuven KADOC Price: € 69,00 ISBN 9789058679321 Met bijdragen van o.a. Fred van Lieburg en PJ Margry. ANDERSON, A.H., To the Ends of the Earth: Pentecostalism and the Transformation of World Christianity, Oxford, Oxford University Press. Ashgate, 2012. AST, F., DUARTE, B. (dir. ), Discriminations religieuses en Europe : droit et pratiques, Paris, L'Harmattan. ASTLEY, J. and FRANCIS, L.J. (Eds. ), Exploring Ordinary Theology: Everyday Christian Believing and the Church, Aldershot, Ashgate. BACOT, J.-P., Une Europe sans religion dans un monde religieux, Paris, Cerf. BECCI, I., BURCHARDT, M., CASANOVA, J., Topographies of faith. Religion in urban spaces, Leiden, Brill. BERNARD-MAUGIRON, N., DUPRET, B., Ordre public et droit musulman de la famille : en Europe et en Afrique du Nord, Bruxelles, Bruylant, 2012. BOCHINGER, C. (éd. ), Religions, Etat et Société. La Suisse entre sécularisation et diversité religieuse, Zürich, Ed. Neue Zürcher Zeitung. Coleman/Koleva/Bornat (red.) Ageing, ritual and social change. Comparing the secular and religious in Eastern and Western Europe. Ashgate. DAVIDSON, N. Only Muslim: Embodying Islam in Twentieth-century France, Ithaca and London, Cornell University Press, 2012. DAWSON, A., Santo Daime: A New World Religion, London, Bloomsbury. DAY, A., Believing in Belonging: Belief and Social Identity in the Modern World, Oxford, Oxford University Press. Dessing/Jeldtoft/Nielsen (red. ): Everyday lived Islam in Europe. Ahgate. Dijkman, Pieter Jan / Borgman, Erik / Geest, Paul van (red. ): Dood of wederopstanding? Over het christelijke in de Nederlandse politiek. ISBN 9789461052025, Amsterdam: Boom € 22,50. EVANS, G. and DE GRAAF, N.D. (Eds. ), Political Choice Matters: Explaining the Strength of Class and Religious Cleavages in Cross-National Perspective, Oxford, Oxford University Press. FERRARI, S., PASTORELLI, S. (eds. ).Religion in public spaces: a European perspective, Farnham, Ashgate, 2012. FLAVIER, H. et MOISSET, J.-P. (dir. ), L'Europe des religions, Paris, A. Pedone. FORET, F., ITCAINA, X. (eds. ), Politics of Religion in Western Europe. Modernities in Conflict ?, London, Routledge. FORNEROD, A. (Dir. ), Assistance spirituelle dans les services publics. Strasbourg, Presses universitaires de Strasbourg, 2012. GRIFFITH-JONES, R. (Ed. ), Islam and English Law: Rights, Responsibilities and the Place of Shari'a, Cambridge, Cambridge University Press. Groot, C.N. de (2012). Playing with religion in contemporary theatre. Implicit Religion, 15(4), 445-463. Groot, C.N. de (2013). Vieren in een belevingscultuur. Laetare, 29(1), 5-11. Groot, C.N. de, J.Z.T. Pieper, & W.B.M. Putman (Eds. ), Zelf zorgen voor je ziel. De actualiteit van christelijke spirituele centra (pp. 167-180). Utrecht: Parthenon. Groot, C.N. de, Pieper, J.Z.T., & Putman, W.B.M. (2012). Nieuwe spiritualiteit in oude kloosters? Jaarboek voor Liturgieonderzoek, 28, 81-102. 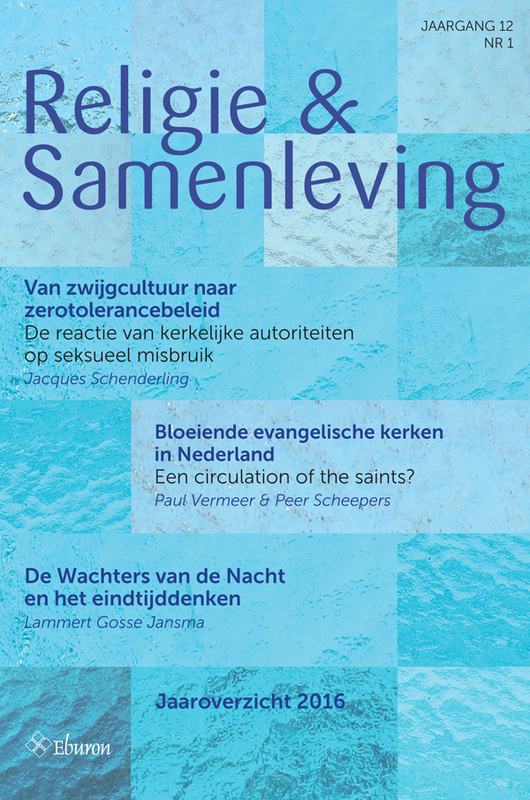 Hak, Durk, & Lammert Gosse Jansma, 'Sociology of religion'. Gepubliceerd op sociopedia. Een PDF exemplaar van het artikel is op te vragen bij de auteurs. HARVEY, S. and NEWCOMBE, S. (Eds. ), Prophecy in the New Milennium: When Prophecies Persist, Aldershot, Ashgate. HJELM, T. and ZUCKERMAN, P. (Eds. ), Studying Religion and Society: Sociological Self-Portraits, Abingdon, Routledge. HUNT, S.J and YIP, A. (Eds. ), The Ashgate Research Companion to Contemporary Religion and Sexuality, Aldershot, Ashgate. HUNTER-HENIN, M. (ed. ), Law, religious freedoms and education in Europe, Farnham, Ashgate. HUTCHINGS, T., Creating Church Online: Ritual, Community, and New Media, Abingdon, Routledge. Jacobs, Jan / Winkeler, Lodewijk / Zeijden, Albert van der (red. ): Aan plaatsen gehecht. Katholieke herinneringscultuur in Nederland. ISBN 9789056253707, Valkhof Pers € 49,50. JÖDICKE, A., Society, the State and Religious Education Politics, Würzburg, Ergon Publishing House. KEENAN, M., Child Sexual Abuse & the Catholic Church: Gender, Power, and Organizational Culture, Oxford, Oxford University Press, 2012. Knott/Poole/Taira: Media portrayals of religion and the secular sacred. Representation and change. Ashgate. Lieburg, Fred van (red. ): Opwekking van de natie. Het Nederlandse Reveil opnieuw bekeken. ISBN 9789087042639, Hilversum: Verloren. NIELSEN, J. S. & JELDTOFT, N. (Eds), Methods and Contexts in the Study of Muslim Minorities: Visible and Invisible Muslims, Routledge, 2012. NIELSEN, J. S. (Ed), Religion, Ethnicity and Contested Nationhood in the Former Ottoman Space, Brill, Leiden, 2012. NIELSEN, J. S., Islam in Denmark: The challenge of diversity, Plymouth, Lexington Books, 2012. PÉREZ AGOTE, A., Portraits du catholicisme : une comparaison européenne, Rennes, Presses universitaires de Rennes. POLLACK D., MÜLLER O., PICKEL G., The Social Significance of Religion in the Enlarged Europe. Secularization, Individualization and Pluralization, London, Ashgate, 2012. RIGONI, I., SAITTA, E. (dir. ), Mediating Cultural Diversity in a Global Space, Palgrave Macmillan. Riviere, Leen La: Geloof in de publieke ruimte. ISBN 9789076959382, 2013, Boekencentrum € 12,90 Routledge. Sengers, Erik en Noordegraaf, Herman: Religion und Wohlfahrtsstaatlichkeit in den Niederlanden. Weltanschauliche Versäulung im Umbruch. In Karl Gabriel, Hans-Richard Reuter, Andreas Kurschat, Stefan Leibold (red. ): Religion und Wohlfahrtsstaatlichkeit in Europa. Konstellationen – Kulturen – Konflikte. Tübingen: Mohr Siebeck. 247-277. Sengers, Erik: Caritas en Overheid. Religie Recht Samenleving (nr 2.) 117-135. Sengers, Erik: Religie en kerk in de zorgzame samenleving. De Wet maatschappelijke ondersteuning kritisch bekeken als nieuwe verhouding van 'religie' en 'samenleving'. 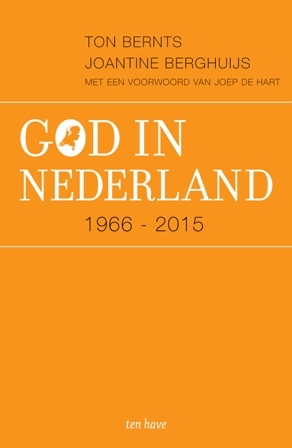 Tijdschrift voor religie, recht en Beleid 4(1) 16-28. Stringer, Martin: Discourses on religious diversity. Explorations in urban ecology. Ashgate. Sullivan/Beaman (red.) Varieties of religious establishment. Ashgate. TEMPERMAN, J. (ed. ), The Lautsi papers : multidisciplinary reflections on religious symbols in the public school classroom, Leiden, Martinus Nijhoff, 2012. TRZEBIATOWSKA, M. & BRUCE, S., Why Are Women More Religious Than Men?, Oxford, Oxford University Press. Vellenga, Sipco & Gerard Wiegers (2013), Polarization or Bridging? Responses of Muslim and non-Muslim Organizations to Criticism of Islam in the Netherlands. Islam and Christian-Muslim Relations, 24(1), 111-128. VINDING, N. V. & CHRISTOFFERSEN, L., Danish Regulation of Religion, State of Affairs and Qualitative Reflections, Faculty of Theology, Copenhagen, 2012. WOODHEAD, L. and CATTO, R. (eds.) Religion and Change in Modern Britain, Abingdon, Routledge. YEGENOGLU M., Islam, Migrancy, and Hospitality in Europe (Literatures and Cultures of the Islamic World), Palgrave, Macmillan, 2012.